At one point my companies we were spending $250,000 per month on yellow page ads. It was an investment — we put money in and we got much more money out. So if you asked me where to spend your marketing dollars 15 years ago, I would have said yellow pages. The point is, things change over time. That’s why I want to share these moving company marketing principles with you, they’re timeless. Marketing is an investment – Start looking at your marketing as an investment instead of an expense. Yes, technically it’s an expense (for all you CPA’s out there). But treat it as an investment, you put money in, in order to get more money out. Like any investments, there are good and bad investments. Each individual lead source should be looked at as it’s own separate investment, the same way you would look at stocks or real estate. Run monthly ROI reports – With your marketing being an investment, it’s important to track your investment to see how it’s doing. You should be running a marketing ROI report every month that tells you exactly how each source of marketing is performing and what your return on investment (ROI) is. You need to know your numbers. Build trust & capture leads – When designing a piece of marketing whether it’s your website or postcards or even the lettering of your truck, it’s important to remember the purpose of it all. The purpose of all your marketing is to build trust with prospective customers and then capture leads by having them call you or request an estimate online. 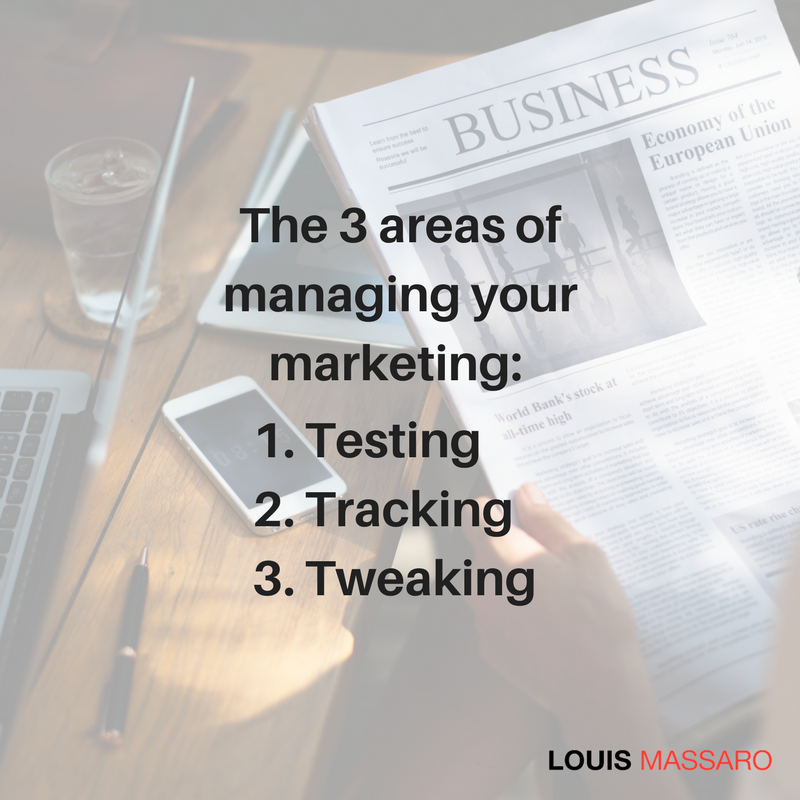 Testing, tracking & tweaking – To manage your marketing efforts effectively you should follow three steps. The first is to test. Try out different sources to see what works. Second is track. Track where every call and lead is coming from and then report on the return on investment of that source. Finally, tweak it. There are so many things you can do to adjust marketing sources. From Google Adwords to Moving Leads, you can make adjustments and tweaks to the campaigns to make them more profitable. Only after you have tested, tracked and tweaked a given source should you make the decision to add more money to it or cut it off. Schedule marketing on your calendar – I believe that every important area of your business deserves a block of time on your calendar. 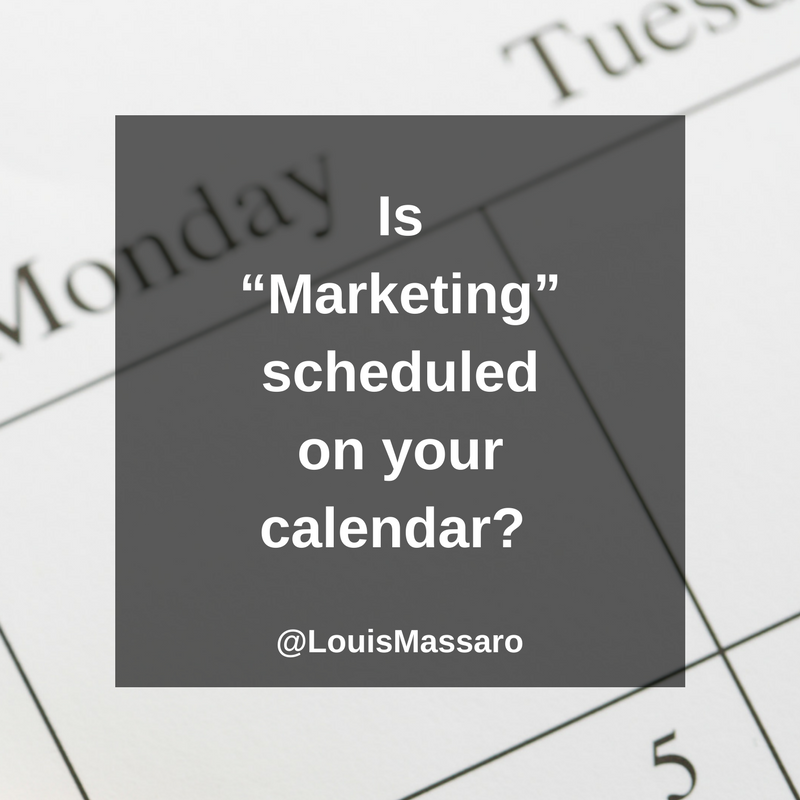 Create a block of time on your calendar every few weeks at least, where you sit down and work on all things marketing. It’s better to have a set time so that it doesn’t get neglected and you’re being proactive about it. The days of being able to own a moving company without also being a marketer are over. You need to have a steady flow of leads coming in, but they need to be profitable. Use these 5 moving company marketing principles as the foundation of your marketing efforts and you’ll remain successful year after year, regardless of what the new “hot lead source” is. 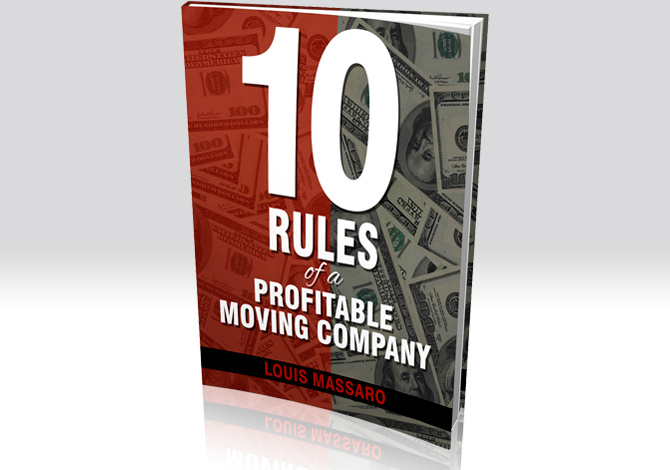 How do you handle the marketing for your moving company? Are you an amateur marketer that’s still in the mindset of, “You know what? I don’t need to be a marketer because I’m a moving company owner”? Or are you a pro marketer, someone that understands the fact that, in any and all business, you need to know, you need to understand, you need to apply certain marketing principles into your business if your business is gonna survive. Listen, in this modern day of the internet and the way things are changing so fast with technology, you have to understand certain principles that make marketing work. 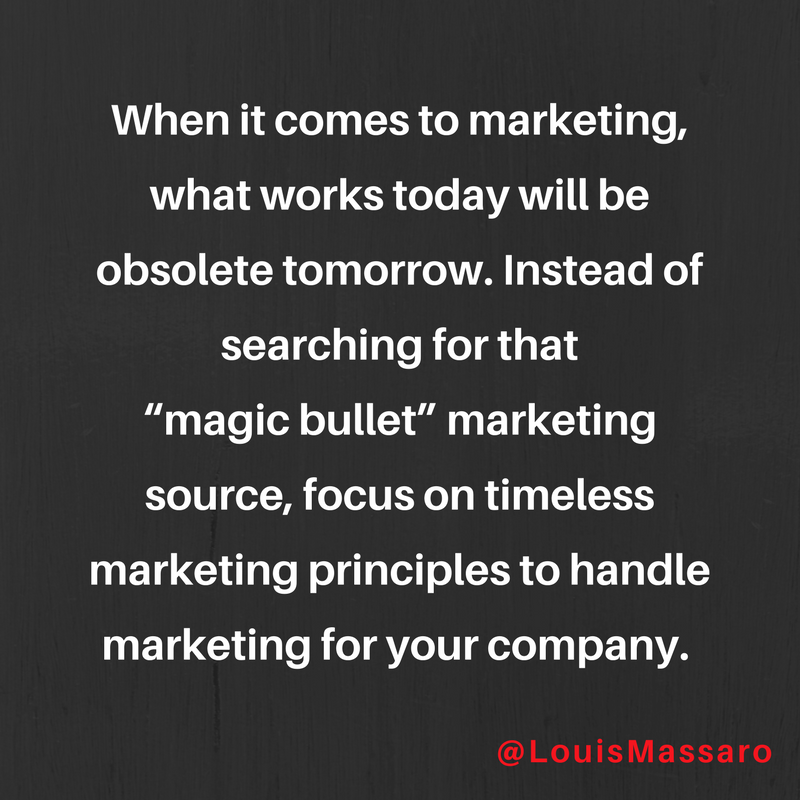 Knowing which marketing sources to use, that’s okay, but what you learn today will be obsolete tomorrow. I used to spend tons of money in yellow pages, tons of money in yellow pages, and that’s what was working. That’s what was hot. That was the thing for years, years before I was even in the business. But guess what? It’s not working anymore. So, you look at what’s out now, you have leads, you have Yelp, you have Google Pay Per Click, there’s still direct mail. You look at all these different things and you say, “You know what? How can I become good at those?” I feel like it’s more important to become good and understand the principles behind marketing and understand how that really plays into your moving company. Because, listen, if you don’t have a steady flow of new leads coming in and you don’t have a way to book those leads as they come in, you’re gonna be struggling for moves. So, I wanna talk to you about these principles ’cause they’re really, really important. I put some videos out in the past about marketing, and the responses that I’ve gotten I just… I wanna make sure that you understand, as a business owner, your role with marketing, and how you need to step into this role as a marketer and not just say, “I’m a moving company owner, I don’t need to deal with marketing.” Because if you want your business to thrive, you need these leads. If you want your business to thrive, you need the phone ringing. As great of a job as you might do, all the repeat and referral customers, you need additional flow of business. Let’s just talk about these five principles that I wanna share with you that I think will really help you look at your marketing differently and help you excel to that next level that I know you’re looking to get to. First thing you need to do is understand that marketing is an investment into your business. It’s not an expense. Yes, it’s an expense on your profit and loss statement, but you have to start looking at it as an investment. You put money in to make more money out. You put in $10, you get out $100. That’s an investment. That’s not an expense. A lot of companies are looking at people that they have to spend money with to get leads and they tighten up about it. They’re like, “I don’t wanna pay for leads. I don’t wanna pay to make the phone ring. That’s crazy.” It’s an investment. If you could put in $10 and get out $100, if there was a machine somewhere where you could put in $10 and get out $100, would you not do that all the time? Would you not invest in that stock? Would you not invest in that real estate? So, invest in your marketing ’cause that’s how you’re gonna scale your business. You could sit around and you could wait for the repeat and referral customers, or you could spend money to make money, and marketing is the best way to do that. Understand that it’s an investment. Even when you don’t wanna spend it, you have to. If you wanna keep your business going, you have to spend it. 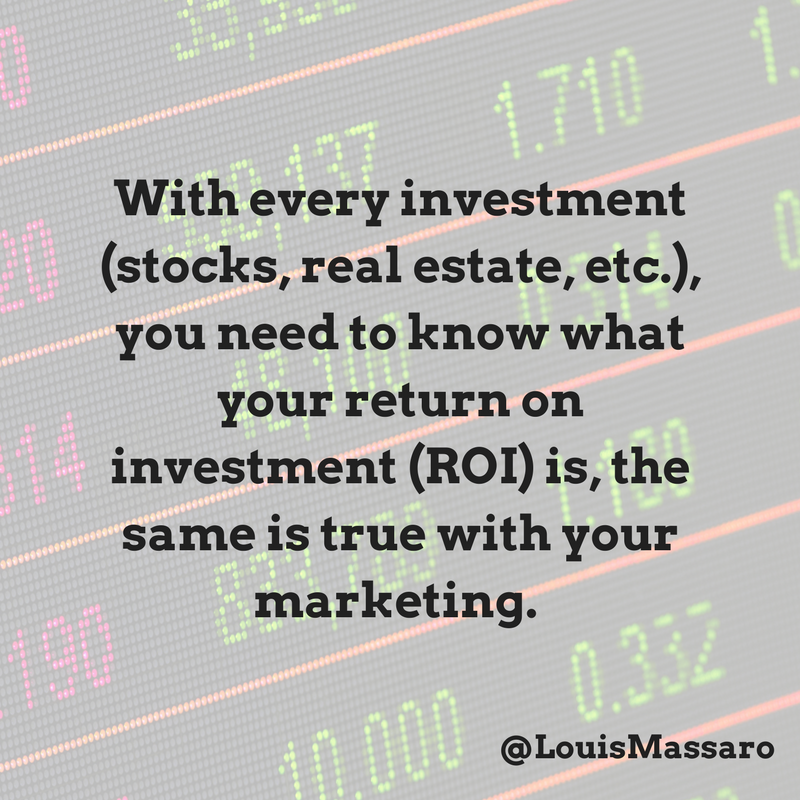 And with every investment, you need to know what your return on investment is. So, you need to be running monthly ROI reports, monthly return on investment. And this is gonna give you the breakdown for every single lead source, every single piece of advertising that you do, that you spend money on, what the return is. I put in $10, did I get back $100? Or did I put in $10 and get back $50? You need to know what your return on investment is for every single marketing source, and you need to track this monthly. Period. I’m challenging you, as a moving company owner, to start thinking like a marketer, to start looking at yourself as the director of marketing for your business ’cause nobody else is going to do it. You need to make sure that every single month you know what’s working and what’s not working. If you were investing in stocks, you’d be looking at the stock market to see how your stock is doing. You need to be looking at your marketing, your investment, to see how that’s doing. So, so important. This right here is what helped me scale my business to $20 million a year. If I didn’t know these numbers, I would have no idea which marketing sources to continue to invest in, which ones to pull back out of, which ones to tweak and modify by doing this report every month. This puts some real, real power in your hands when it comes to knowing what’s working and what’s not. You wanna talk about clarity? This is the ultimate clarity. This is gonna tell you, “Hey, again, I put $10 in, I get $100 out,” or, “I’m putting $10 in, only getting $50 out.” You need to run these every month. You need to review them every month. Number three, third principle I wanna share with you for marketing, the only purpose of all your marketing is to build trust and capture leads. That’s it. That’s all you need to do with every single piece, with your website, with your postcards. With everything that you do, it’s designed to build trust with the customer and capture leads. You could have a beautiful website, but if it doesn’t build trust, if it doesn’t give that feeling that they could trust you, it’s a waste. If there is not… If your phone number is not placed in the right spot, if you don’t have the correct type of web forms on there to capture a lead, in the correct places, you’re basically losing those customers that end up on your website. So there’s more to just getting somebody to your website. Once they get there… And this could be anything, this could be a direct mail piece that you sent to their house. Once they receive it, it needs to build trust and it needs to capture a lead. When I say lead, that could be a phone call or that could be a request for an estimate. Every single piece of marketing that you do, you need to look at it and say, “Is that building trust? And is it designed to capture leads?” If not, redesign it, rewrite it, do what you need to do, build trust and capture leads, the purpose of every piece of marketing. Fourth principle, you need to basically be testing, tracking, and tweaking your marketing. This is how you manage it. Maybe you’re hopin’ for the magic bullet, like this is the lead source to use, this is the ultimate… But that changes. That changes. I used to spend $250,000 every single month with yellow pages, every single month. And it stopped working. We started spending the same kind of money with leads and Google Pay Per Click. You need to be on top of it. You need to test everything, track it to see if it works, and then tweak it. If there’s a lead provider that you know about, if there’s a certain source, test it out. It’s the only way you’re gonna know if it works. I could give you all the lead sources, I could tell you what to use, but it’s gonna be different in each market. Some companies, their leads are really good in certain places. Some markets, you could get highly profitable Google AdWords traffic, and in other markets, you’re spending too much money. The idea is test everything out, track it with your marketing ROI reports, and then tweak it and make some adjustments. There’s a lot of adjustments that could be made within certain campaigns. You could make a lot of adjustments within a pay-per-click campaign. You could make adjustments with your direct mail pieces. You could make adjustments with lead providers on which leads you’re taking, what the filters are. Testing, tracking and tweaking, that’s how you’re managing your marketing. Fifth principle I wanna share with you, you need to schedule marketing on the calendar. If you just sit around and wait for the next lead provider to send you an email, or somebody to call you and tell you about some type of marketing that they have that you should get involved in, or you see maybe your competition doing something and you just jump on it, you’re constantly gonna be behind, you’re constantly gonna playing catch-up. If you wanna be on top of your marketing, you wanna do all these principles, you wanna know what’s working now, you wanna know what’s your return on investment is, you need to have time on your calendar weekly or every other week to sit down and work on marketing stuff. I’m a big believer in blocking time, creating blocks of time in your calendar when you only work on certain things, marketing needs to be on there. This is some of the best advice I could you give you on marketing. We could talk about lead sources, we could talk about where to spend your money, what the return is. These right here, these are principles, these don’t change. These could be used now, these could be used 20 years from now. As marketing comes and goes, this is the stuff that you’re gonna wanna learn. This is the stuff that you’re gonna wanna ingrain into your mind and dive into and just let it become part of your habit. 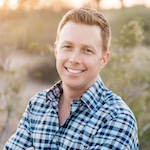 If you’re still in the mindset that, “You know what, I’m just a moving company owner and I don’t need to know these things, I don’t need to take my marketing process seriously. I don’t need to take my sales process seriously.” Then, you know what, I hope that you have a lot of repeat and referral business, I’m sure you do. And I hope that that’s good enough for you. And if it is, that’s okay. If you’re happy with the amount of business you’re getting, if you’re happy with the return on investment that you get from whatever it is you do, that’s fine, nothing wrong with that. Not everyone wants to go to that next level. But if you wanna go to that next level, and when you get to that level, go to the next level, these are the principles you need to start following for your marketing. Until I see you next week, go out there every single day, profit in your business, thrive in your life. I’ll see you later.